Ascending Butterfly: dENiZEN by Levi's Jeans - Why you should RUN not walk and pick up a pair! dENiZEN by Levi's Jeans - Why you should RUN not walk and pick up a pair! My preference is for a medium weight, and while I like a bootcut, that is sometimes the only 'detail' you find in 'curvy' denim. While I'm well past my jeans with holes trend days, I'm not exactly at that Mom Jeans stage either. I'd like some trend detailing! 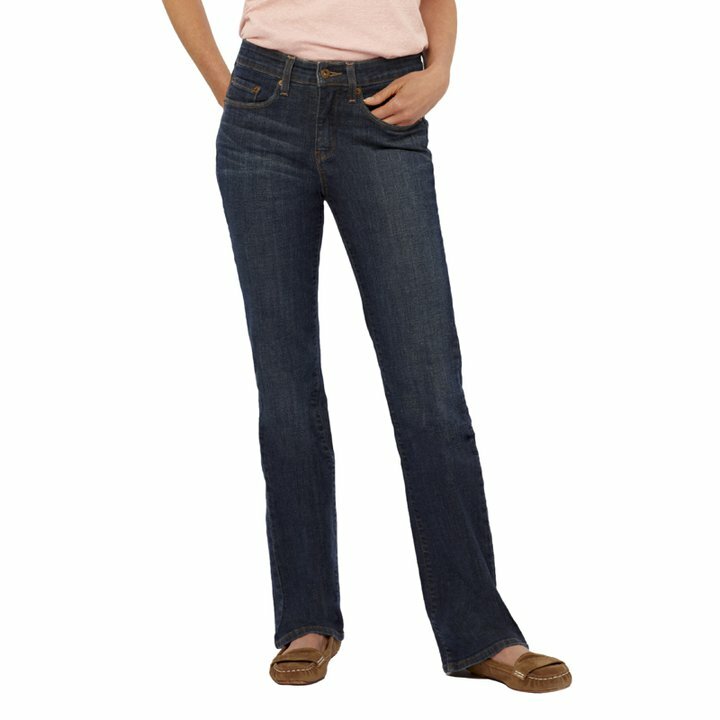 I'm 26 pounds down and counting this year, and when Levi's contacted me to try out a pair of their dENiZEN jeans I was a bit nervous as I've NEVER had a one shot try on and walk out the store experience with jeans. I was even more nervous when they arrived and I saw 'misses' on the label, every jean I've owned in the past 10 years have all had the big 'W' on them! I tried them on and much to my surprise fell in LOVE with them. I had a small and easy to remedy 'pero' (spanish for 'but'). They were actually a bit long for me even in the regular, so I had them hemmed. When I took them to the tailor, they all fell in love with the jeans at the shop and asked me tons of questions about them because they weren't yet available in my neighborhood's retail district at the time. I'm super happy to report that dENiZEN by Levi's are readily available at your local Target store, available for men, women, and children and I urge you to RUN not walk and pick up a pair. They are truly the most well cut pair of Jeans I've owned in a long time, NO gap for me at the waist, fit like a glove (NO, not tight), and have a well done boot cut (not all curvy denim has to flare out like 70's bell bottoms!). I have denim in my closet in a variety of price points, but these quickly became my favorite, and they are definitely my 'go-to' pair. Here is a pic of me wearing them (below) totally casual with sneakers on a day of running errands, but they look equally great with a crisp white blouse, cute boots and throw on a great necklace/acessories to dress them up more. You can purchase these at Target (see your local ad to check price points at your nearest store as they may differ), and you can connect to all things dENiZEN on Facebook too! FTC Disclosure Info: This is NOT a sponsored Post. No monetary compensation has been received. I did receive a pair of dENiZEN Jeans from Levi's for editorial consideration. All opinions expressed are my own.